Book Tim Harford as a keynote speaker. Tim Harford, described by the New Statesman as ’perhaps the best popular economics writer in the world’, is a behavioural economist, BBC radio and TV presenter and award-winning Financial Times columnist. Sometimes called ’Britain’s Malcolm Gladwell’, Tim offers a distinctive blend of storytelling, humour and intelligence. For more information on motivational speaker Tim Harford, contact VBQ Speakers founding agent Leo von Bülow-Quirk on leo@vbqspeakers.com or 0044 7833 727090. 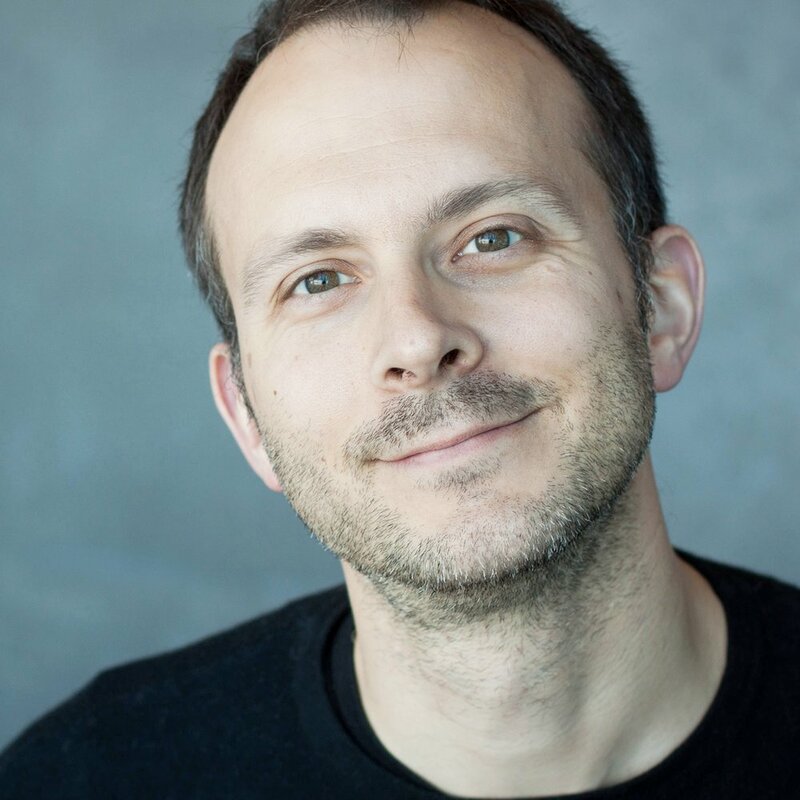 Tim Harford, described by the New Statesman as ’perhaps the best popular economics writer in the world’, is a behavioural economist, BBC radio and TV presenter and award-winning Financial Times columnist. Sometimes called ’Britain’s Malcolm Gladwell’, Tim offers a distinctive blend of storytelling, humour and intelligence. He is the host of the BBC World Service podcast series, 50 Things That Made the Modern Economy. It was rated #1 on iTunes in the UK. 50 Things presents brief stories of the ideas and inventions all around us - and the way they've shaped how we live - from the gramophone to the iPhone to Ikea's "Billy Bookcase". Tim is also host of the podcast More or Less. Both podcasts we listed as the top 30 podcasts around the world by the Times of London. His BBC Radio 4 series, More or Less, offers a genial smackdown of dubious statistics. It was commended by the Royal Statistical Society five years running for excellence in journalism. Tim has written seven books, including a newly published book based on the popular podcast series titled Fifty Things That Shaped the Modern Economy. His most successful book, The Undercover Economist, has sold 1.5 million copies in over 30 languages around the world. Tim's book, Messy: How to be Creative and Resilient in a Tidy-minded World, argues that we underrate improvisation, randomness, and vagueness — and overrate the scripted, the controlled and the quantified. If we embraced a little more mess we'd get more done, and be more creative and resilient. The book has many ideas from his 2016 TED Talk, How frustration can can make us more creative (see opposite). Tim’s writing has won several prestigious awards, including the Bastiat Prize for economic journalism (2007), Economics Commentator of the Year (2014), Society for Business Economists writing prize (2014) and the Royal Statistical Society prize for journalism (2015). Tim has also worked at Shell and the World Bank, and is a visiting fellow at Nuffield College, Oxford. He has given numerous invited lectures, including at the Royal Economic Society, Google, the Bank of England, PopTech, the Sydney Opera House and (twice) at TED. There are few more important questions that what it takes to make a team work together to solve problems. Tim argues that there's a reason we find this hard: we don't agree about what "collaboration" really means, and the most effective teams are often the teams with high levels of social friction. Drawing a vast range of surprising research and his usual compelling stories, Tim leads us on a quest to find out how even a team can overcome the most dramatic internal tensions to triumph. Wishful thinking is everywhere — in business, in politics, in life. And Tim believes that if we want to protect ourselves against wishful thinking — perhaps even turn wishful thinking to our advantage — we need to understand it. Tim weaves together the astonishing story of one of history's great forgers with the latest research on wishful thinking — and how it leads us to fool ourselves. "It's not about the printing press - it's about the paper...". We've always been dazzled by the latest technological miracle, but Tim argues that we keep making two simple mistakes when we think about how new inventions really transform the world around us. With examples ranging from artificial intelligence and the Gutenberg press to toilet paper and Ikea flat-packs, Harford argues that the most powerful technologies are often cheap and simple - and that the most radical changes, good and bad, happen not when we shape new inventions but when new inventions start to shape us. Two of the greatest economists in history failed to see the Wall Street Crash coming - yet one died a millionaire while the other died poor and alone. From this starting point, Tim explores the latest thinking on how to forecast, and what to do when your forecasts don’t work out. “If at first you don’t succeed, try again.” We’re so often told to learn from our mistakes that it’s become a cliché. But why is it so hard – and how can we do a better job? With stories and ideas from psychology and behavioural economics – as well as aviation, ballet and a TV game show – Tim describes the art of good mistakes. We talk a lot about innovation – but what do we really mean? Tim believes we’ve become fixated on a particular kind of innovation, and we’re missing out other possibilities. Ranging across high performance cycling, genetic engineering and military innovation, this is one of Tim’s most popular talks. Data visualisation is all the rage, but with examples ranging from Florence Nightingale to the latest YouTube infographic hits, Tim shows that we’re being fooled by sketchy statistics dressed up beautifully. A humorous and visually striking statistical survival guide. When Tim explained some of the fallacies behind the big data boom in the Financial Times, it was the newspaper’s most-read article of the year. From Google Flu Trends to retail targeting algorithms, Tim argues that big data will only fulfil its potential if we can avoid some very old statistical traps. Tim’s latest TED talk is about creativity – and about the unexpected benefits of obstacles, interruptions and distractions. With examples from cognitive psychology, complexity science – and of course rock and roll – Tim delivers a powerful and inspirational talk.